Objectives: Sixteen percent of Nigerian women have an unmet need for family planning (FP) as a result of the fear of contraceptive side effects and religious beliefs. Increasing the range of accessible contraceptives, especially addition of fertility awareness options is likely to reduce unmet need. 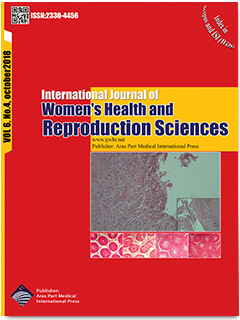 This study sought to assess the factors influencing the use of the Creighton model system (CrMS) of natural family planning (NFP) and its effectiveness in a subpopulation of women in Enugu, Southeast Nigeria. Materials and Methods: This was a cross-sectional descriptive study involving all consenting women attending the family planning clinic (FPC) of a private hospital, through a structured questionnaire and information from follow-up (FU) form of each consenting client. Data analysis was done using SPSS version 17.0 and results were expressed in descriptive statistics of frequency and percentage. Results: Forty-five couples consented to the study. The age range of the women was 22-47 years, with a mean of 32 years. Forty-seven percent of the women had a tertiary education. Two-thirds (67%) of the couples were using the system to temporarily space their pregnancies and 60% of them were Roman Catholics. One “unplanned” pregnancy occurred during the period of review (October 2010-October 2016). The major reason for discontinuance was the tension created between the spouses during periods of avoiding pregnancy. The major advantage was being rid of the fear of side effects of artificial contraceptive methods.